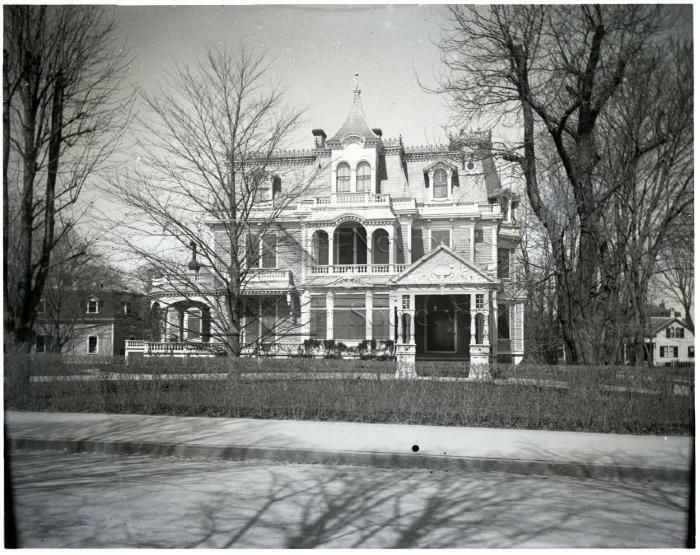 A glass plate negative depicting Stoneacre (1882-1885), an estate once located at the intersection of Bellevue Avenue and Victoria Avenue. Architectural features include several sets of dormered windows, chimneys, a veranda with arches covered in ivy, a Turkish onion dome, and an overall shingled exterior. The house is situated atop a hill, and the image is framed by trees and bushes in the foreground.